Though it has been a year since the release of the Phone X, an unseemly problem has reared its head. Apparently, the iOS 12.1 update didn’t go down well with the phone and caused it to explode à la Samsung’s ill-fated Galaxy Note7. Thankfully, Apple has taken note of the problem and will begin investigations promptly. Rahel Mohamad, who is a resident of Washington, U.S., bought the iPhone X nearly 10 months ago. All was fine until he decided to upgrade the phone’s software to version iOS 12.1. Since OS updates consume a lot of juice, Mohamad, put his phone on charging while it was getting updated. This is standard practice and is often recommended too so that the phone doesn’t shut down in the middle of the process. Once the update was completed, the iPhone X started emitting smoke and as soon as it was turned on, it caught fire. The complainant used Apple’s charger and cable to top up his phone, and the explosion took place after the phone was taken off charge. He further went on to say that when he picked the phone up, it was really hot, causing him to drop it immediately. Apple has said that this is jarring and has asked Mohamad to send the phone to the company so that it can get to the root of the problem. While that’s reassuring, this isn’t exactly the first time that an iPhone has exploded. However, lithium batteries can sometimes exhibit this kind of behavior, although such instances are very rare. 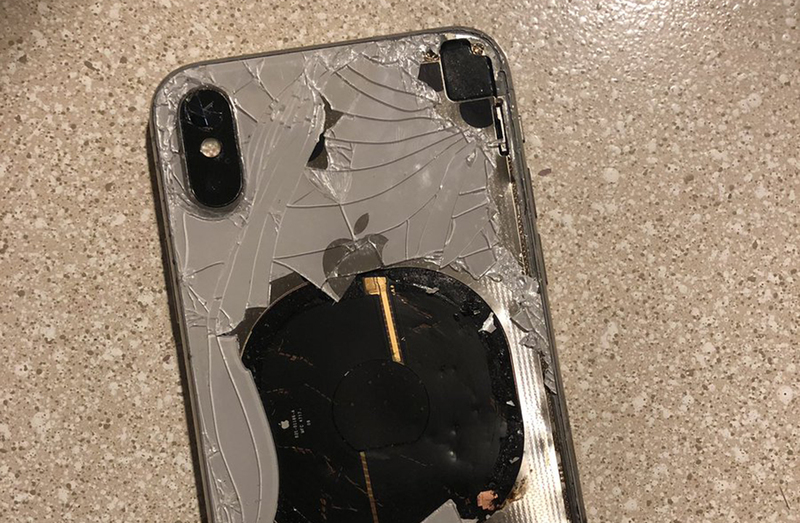 As for what exactly went wrong with the iPhone X, it could be any damaged component but we will have to wait for Apple to find out what exactly went wrong. As a reminder, always top up your devices using certified cables and chargers in order to minimize the explosion risk. If you want to check out more Apple coverage, we have a lot of interesting information that you’d love to check out below.